I’m starting to get a good idea now why people travel. As someone who hasn’t traveled a lot herself, I’d always assumed it was about the journey to see things you’d never seen before. Stained glass in a cathedral in Rome. A Saturn 5 rocket in its entirety. The Hope Diamond. The Greek Isles. A quintessential British fishing village in Cornwall. I’m beginning to see that it really about the journey itself. Like the poem, Ithaca, which I’ve always loved but never fully appreciated, the story is in the journey. You might think the title of this blog post is cumbersome. Well, it is. I chose it because while I know many people with the courage to follow their dreams, I don’t know all that many with the courage to *embrace* what that means. Case in point: I came across this wonderful cartoon illustrating the words of Astronaut Extraordinaire Chris Hadfield (my new personal hero, in case you hadn’t noticed). What a wonderful cartoon about the sacrifices we have to make when we set out on the path of following our dreams. But what amazing rewards are there for us if we do so. I confess, however, when I set on the course to become a writer, I wasn’t prepared for the sacrifices I would willingly make for my passion. Less time riding the horse. Annoyance with the dog when he still wouldn’t lie down and be quiet after a long run. Watching an hour or two of television a week instead of my usual shows nightly. Telling my boyfriend I’d be along to bed in a few minutes as I am typing and when I glance at my watch next, two hours have passed. And the guilt. Oh, the guilt. Sometimes it hurts knowing how much of the brief time I have with my animals that I’ve wasted these past years. I’m conscious of that in general, having made choices that hurt me professionally, personally, and economically because they were the right thing to do at the time. What was less apparent to me was how much I resented the fact that I’d made some of these choices. How much I resented that I’d put my life on hold for so long and now it was taking me a long time to really find my way, what I was meant to do with my life. I just came back from an amazing weekend at Galaction 3 and ComicPalooza. What an experience! 20 K plus fans from all over the world, gathering together to celebrate their love of their fandoms. One of the important things about fandoms is that they give us permission to think big, dream big, and act out on these fantasies even when the reality is not possible. No, I will never pick up everything and head through a Stargate into the Pegasus galaxy as part of an expedition but I can take the lessons learned from my favorite characters and work hard to follow the dream that is a bit more within my reach. I can emulate the characteristics that make a character a personal favorite–the courage, the toughness, the honor, etc. and use them in my daily life to achieve my goals. That’s what heroes are for, after all. One of the things I’ve discovered about traveling is that it takes you out of the hum-drum everyday existence of our lives and puts us in new situations. I try new foods when I’m on vacation. I talk to people I’ve never met before, I have the most interesting conversations. When you are mired in the day-to-day routine of your life, it is difficult to have much to say sometimes. I think social media is a bit to blame for a creeping dissatisfaction that I’ve experienced in my life recently. When I was new to the business of social media, I wrote a post titled Does Facebook Make Us Depressed? While my views have been tempered through the years, I still feel the same about many aspects of social media. After all, I haven’t lost 50 pounds, won 50 million dollars, or had a number one book on the best seller list for 50 weeks. I rarely go anywhere special. While I love taking pictures with my little point-and-shoot camera, they’re nothing spectacular and there’s a limit to how many pictures of horses, dogs, and flowers people want to see. My day-to-day workday is emotionally draining (and not something I want to relive in a blog post unless I do so to be rid of it). The fact is, my life is pretty boring most days. It’s hard to find something meaningful and worthwhile to blog about on a regular basis. And yet social media is how most of us interact with our friends these days, so we tend to natter on about the minutia of our lives just so we’re there with our friends. I misplaced my phone earlier today and you’d have thought I’d lost a thousand dollars with the way I panicked and began searching the car for it. The relief I felt when I found it was enormous. Not because I found my phone. Because I found my *connection* with my world. But I learned some interesting things about myself this weekend. I met a lot of people from all walks of life (and I do have more to say about my experiences at Galacticon). And a couple of things struck me. Most of the people I know don’t have it easy. Many of my friends and acquaintances are just squeaking by. For a long time now, I’ve felt bad when I want to whine about the circumstances in my life because I know so many people who have it ten times worse. I also know that just because my problems are comparatively mild, that doesn’t discount the impact it has on my life. She showed me on her iPad the lovely photos of the horses she’d gone to look at that weekend as she shopped for her next FEI prospect. This is not one she looked at, merely an example of what an FEI dressage horse entails. We talked of sport horses and science-fiction, of corporate America, and of personal happiness. And I realized that while I was very good at comparing myself to others and seeing where I didn’t stack up, I was forgetting some of the most important things. I made these choices. I chose to make less money working for myself than to stay in a job where I was expected to work 60-70 hours a week for 9.5 vacation days a year that I could not ever take consecutively. I chose to move to a small rural town where I could keep my big horse and my big dog and enjoy having the things I loved around me instead of working in a big city for more money in a job that made me suicidal. I made a choice to stop competing my horse because I wanted her to still be around for me to love more than I wanted another ribbon or trophy on my wall. Yeah, my life can be tough sometimes, but I chose it. I chose to start writing again and I allowed it to consume my life. And you know what? I can also chose how I feel about this. I can either piss and moan about my troubles and the incessant, grinding toil that is my life, or I can embrace it, cracking the bones and sucking out the marrow because it’s mine. No, it won’t make it possible for me to magically pay the bills if there’s no money in the checking account. No, it won’t erase the weird food intolerances I’ve developed in the last few years or prevent me from getting cancer, or make me look like I did when I was 23. But I do have ultimate control over my attitude and I choose to embrace the choices I’ve made to become a writer. Oh! 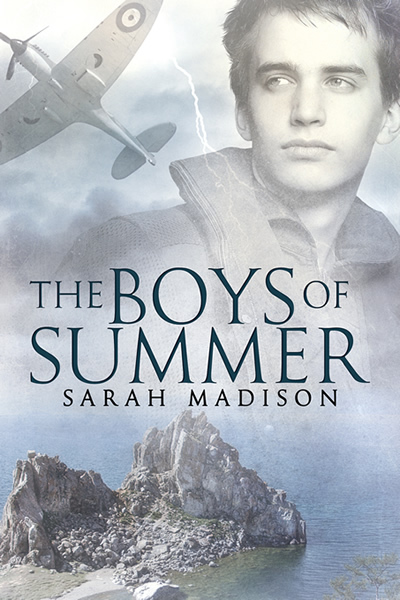 Speaking of which, I just found out today that The Boys of Summer has been listed on Goodreads Best M/M Romances Published in 2013! (How’s that for a sneaky segue, but it’s true, I just found out a little while ago!) How astonishing is that? It’s been out only six weeks! I am delighted and terribly flattered too! This entry was posted in Uncategorized and tagged Battlestar Galactica, dressage, horses, life balance, Sarah Madison, social media by Sarah Madison. Bookmark the permalink. I love traveling. I wish I had more time (and money) to do it. I, too, will strike up conversations with complete strangers when I’m on the road, and nearly always, it’s rewarding. I eat weird food, I keep strange hours, my camera is close at hand to record everything I see. We all make tough choices. In the end, the ones that most often reward and enrich our lives are the ones we are happiest about. Well, I think I’ve been in the bill-paying rut for so long now that it’s a bit hard to remember why I chose the path of less money in the first place. I don’t believe in quantum mysticism: the idea that if you think it, you can make it so. But I do think we tend to attract negative or positive things into our lives based on our attitudes to the everyday circumstances around us. Sometimes it’s hard to modify how we feel about something. We’re exhausted, we see no way out of a bad situation, we’re struggling with health issues. But as much fun as I had this weekend, I was happier to come home to my crappy little house and see my cats, to go ride my horse and know that I will be able to pick up the dog from the kennel tomorrow. To know that I might have a long hard day at work tomorrow, but tonight, I’m going to work on the new WIP. As someone struggling with her choices from the past, and figuring out the present and future, I’m ignoring the meat of your post. Or rather, digesting it. But, after reading the link on eventing, I have a question. My question is: Have you ever written fic (published or fanfic) about eventing? I’ve read one by another author several times, and am fascinated by the love that must be there for people to put themselves through that life, and what you must have given up. If so, link please? If not, your experiences would be amazing to read. Sighs. I’ve never been interested in the Olympics, but I guess I’ll have to cave and buy this anthology. Question: Is it better to buy through Dreamspinner Press or Amazon? I want to help authors as much as I can. Unless a book is self-published, you’re *always* better off going directly to the publisher as a greater portion of sales will go to the author. Amazon is good for getting your story out to a large number of people, but they take their cut after the publisher if it is sold through them. 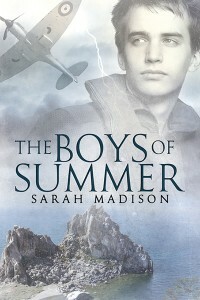 One of the reasons I wanted to try independent publishing with The Boys of Summer was to see what it was like in terms of sales. While I get a greater percentage of the royalties, I have to do ALL the work, so I’m not sure about the trade-off there! Going For Gold was published through MLR Press, not Dreamspinner, however. All the links are on my Books page, or further up this thread too. 🙂 Thank you for wanting to read it!